I’m so subtle, I know. 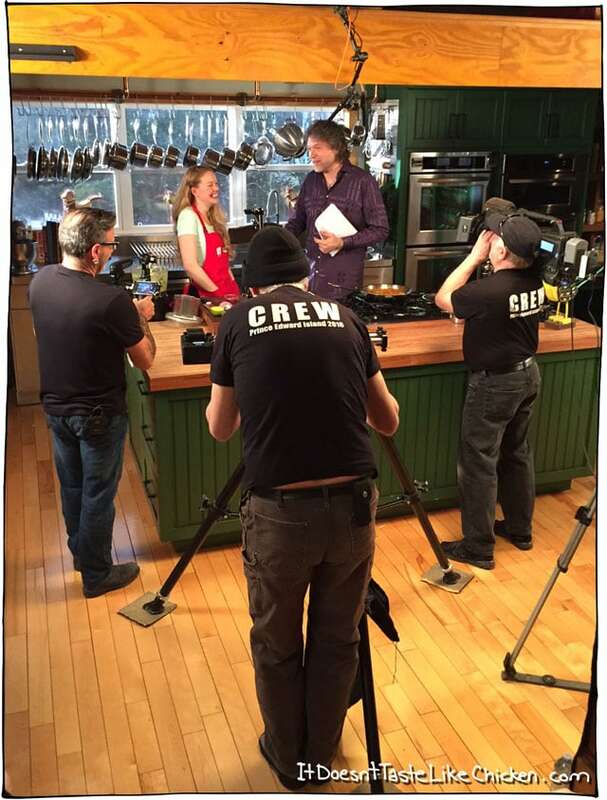 I’m sure you have heard by now, but if not, Canadian Lentils chose me, along with 4 other awesome bloggers: Koko from Koko’s Kitchen, Lalitha from Taylor Nutrition, Trudy from Eat Live Play, and Adam from Kook Channel, to go film a cooking show in P.E.I. with Food Network Star Chef Michael Smith. Oh boy, was that an experience! My entry was this YouTube video where I featured one of my favourite lentil recipes, Lentil Tacos with Avocado Cilantro Sauce. Apparently, the recipe and my quirky personality were well received, as before I knew it, I was on a terrifying little plane on my way to see Chef Michael Smith. A full day of filming was dedicated to just little ol’ me! 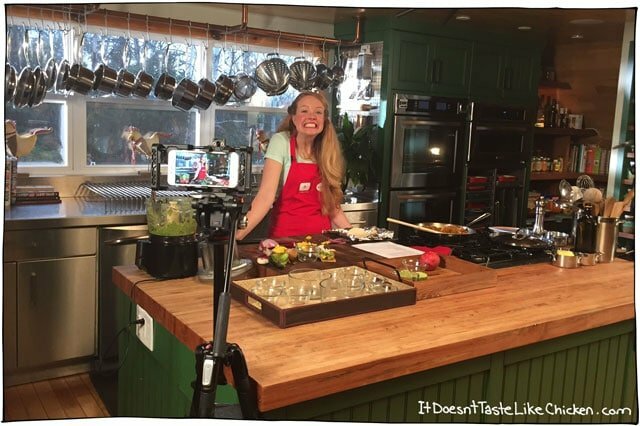 At first, I wondered how in the world, it would take so long to film a 15 minute recipe, but the day quickly flew by. Filming in front of this giant crew and eight (yes eight) cameras pointing at me, was such a fun/stressful/scary/amazing/exciting/awkward experience… and I absolutely loved it. Someone give me a cooking show please. I want to do this all the time! That’s not to say it was easy, because it certainly wasn’t. I would be chopping up an extremely underripe mango (apparently the camera can’t tell) and then suddenly someone would run in to do a close-up of my mango chopping skills (which are hugely lacking p.s.). Meanwhile, I’m inching away from the camera afraid of injuring the expensive technology with Michael’s large chef knife and the camera man keeps chasing me getting closer and closer to my awkward chopping. 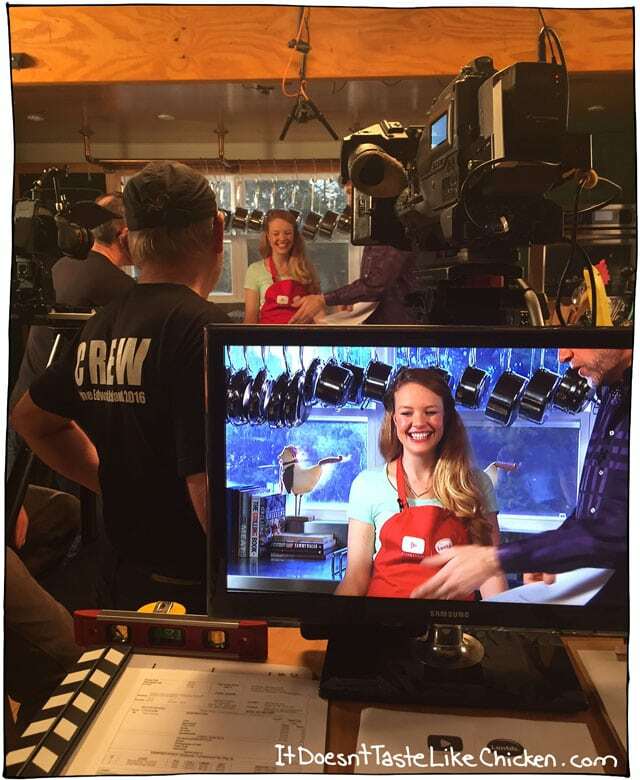 Regardless of my chopping skills, and lack of knowing what to say, I seemed to work my way through filming, and I was even able to break the entire crew at one point and make them all burst into laughter when they weren’t supposed to. FINALLY!! Hardest part for sure was that there was a roomful of people that I was having a completely one-sided conversation with. I literally couldn’t tell if anyone was remotely interested in what I was yabbering on about, because they couldn’t respond. At least I know that everyone enjoyed the food. After every cut, the crew would swarm my tacos and quickly devour them all. 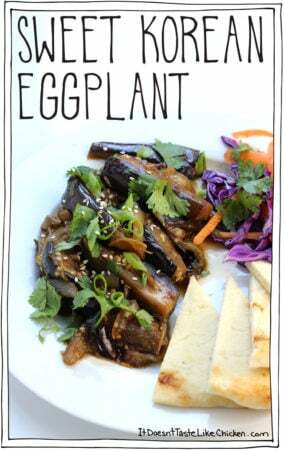 Wooing the world one delicious vegan meal at a time. Muhahaha! I can’t reveal all the secrets, because there were some fun (and slightly evil) surprises they had in store for us, but I just can’t wait to see/ I am terrified to see the final videos! Update: You can now see the final video here. Isn’t that a lovely looking crew?? It’s so much fancier than the crew I am used to (me, myself, and I). To celebrate the end of the festivities, Chef Michael Smith taught me how to use a knife to cut the top off of a champagne bottle. A big thank you to Ethan from Food Bloggers of Canada for taking all of these photos (and driving my hungover self around P.E.I. the day after the shoot).. what… champagne… And to Rachel from Canadian Lentils for filming this video (and just generally being awesome). I wanted to share a recipe in celebration of this super fun event, and since I already posted the Lentil Tacos with Avocado Cilantro Sauce, I decided to make a brand spanking new lentil recipe, cause can you ever have too many lentils? The answer is no. So here we go my friends. All you need is 15 minutes, a few go-to ingredients, and boom, flavour-packed Sweet Korean Lentils are on the table. 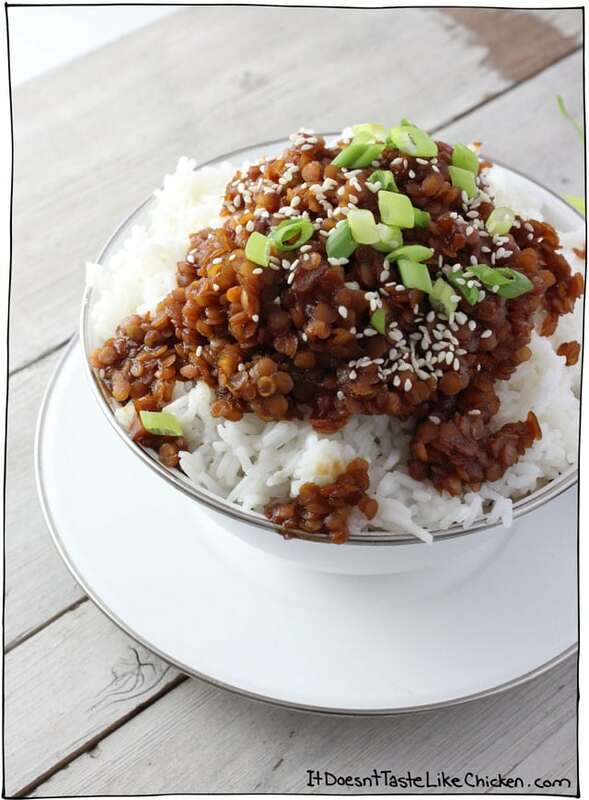 These lentils are sweet and mildly spiced, a serious nod to Korean BBQ. These Sweet Korean Lentils reminds me of when I lived in LA, and my roommate Ashely and I would frequent this little Korean restaurant. They always served this sweet and tangy beef. Now obvi I wasn’t going to make that, but this is why I love lentils, anywhere a recipe calls for ground beef, you can pretty much sub lentils. A much healthier and friendlier option, and oh so delicious. 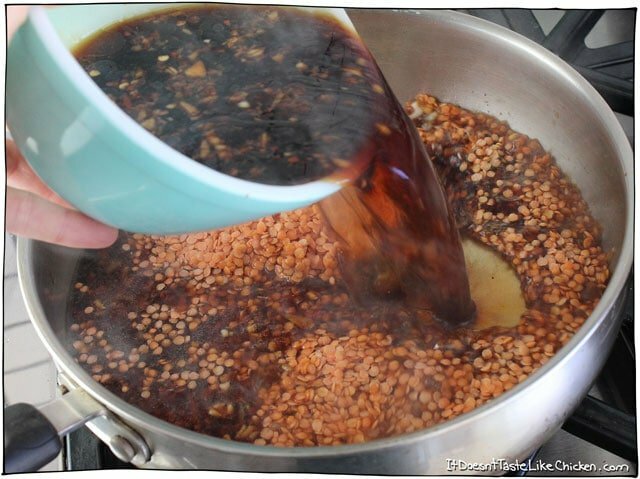 To make Sweet Korean Lentils: mix all the sauciness together. Um, hello delicious looking sauce! Side note: Are you supposed to use signed wooden spoons, or are you supposed to display them? I decided the spoon would have a lot more love and appreciation if it was used in my daily life, so I am going to cook with it. My mom sometimes wishes I was more sentimental… oops. Now add your lentils and sauciness to the pan. Cover and simmer for around 10 minutes until the lentils are cooked and tender, and most of the sauce is absorbed. Serve over rice and garnish with green onions and sesame seeds. I also used this as a lettuce wrap filling and my oh my it was scrumptious. All the flavours of Korean BBQ made vegan and gluten free! 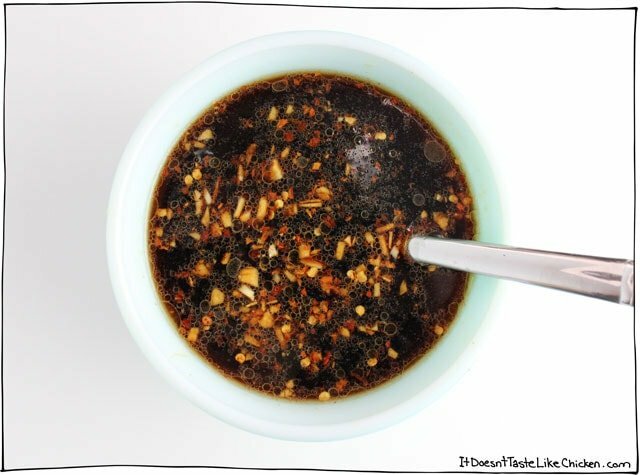 Sweet and mildly spiced, just 15 minutes to make! 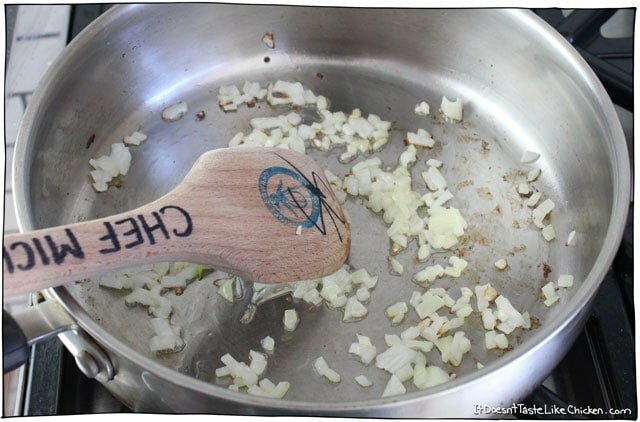 Heat the oil in a skillet over medium heat, then add the onion and sauté for a few minutes until the onion softens and begins to brown. Now add the lentils and the sauce. Cover and bring to a gentle simmer until the lentils are cooked and tender, and most of the liquid is absorbed, about 8 to 10 minutes. Serve by spooning over rice, and garnishing with the green onions and sesame seeds. Made this for dinner tonight paired with some rice and broccoli and OMGGG!! I was so impressed with the flavours in this recipe and will definitely make this again! Thank you for this!! Could this recipe be halved & cooked in a smaller saucepan or would that have a negative impact? Absolutely, that would work just fine. Enjoy! Yes, but you will need to omit or greatly reduce the water. Enjoy! 1/4 of the recipe. About 1/2 cup. You are so fun to watch! I have your cookbook, love it! And I can’t wait to try this recipe! I just have to say that I’ve made this twice, and it’s such a keeper. I’ve reduced the sugar slightly, but that’s just me. Other spice levels are all great; this time I added a splash of rice vinegar just for a little zing. We had this for dinner with short-grained rice, wakame salad and homemade kimchi — AMAZING! Thank you for all these stupendous and life-changing recipes. Did you use whole or split red lentils? I can’t find whole red lentils. Made this today. Delicious. Although the 8-10 minute cook time?? It took a full 30 minutes for it to cook through and for the lentils to soften. Typo or did you use an Insta or some kind of quick cooking lentils? Red lentils take about 10 minutes to cook. Did you perhaps use a different type of lentil? Green or brown lentils take 20 minutes or longer. These were really tasty- made them to serve with some bibimbap and they added great flavor and extra protein to the dish in place of meat and egg (although I sent a pic to my brother who just moved to Korea and he said it was NOT bibimbap. Whatever lol.). My 5 year old and “vegan at home” husband liked them too. I have to admit I was skeptical at first- I always am when trying a new persons recipe, but now I’ll definitely have more confidence to try other recipes from you! My lentils were mushy but afterwards I read your advice in the comments about making sure the temp is low, so I’ll try that next time. Thanks! I love this. I made it for the second time tonight. Just one question… Why is mine light brown, almost beige, when. Yours is so dark? I followed the recipe exactly. So happy you enjoyed it! The darkness comes from the soy sauce, so I probably just used a much darker soy sauce than you did. As long as it tastes great tho, that’s all that matters! Its the second recipe I made from your website the first one being the vegan cream of mushroom soup. I have already made twice the mushroom soup and I will do the sweet Korean lentils again. The only change I made to this recipe is to replace the red pepper flakes with sriracha. These two recipes are amazing and you had me convince to buy your book. 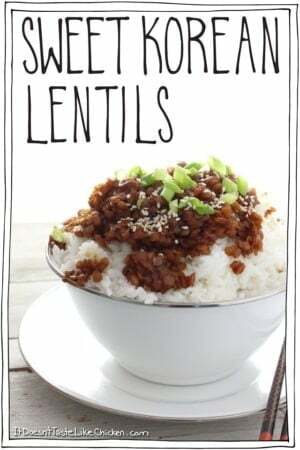 I love the sweet Korean lentils recipe because I’m new at being vegan and I don’t have a lot good recipes for lentils. I struggle a little bit to try to eat more lentils instead of tofu and chickpeas and this recipe will help me to eat more diversify. Aww that’s wonderful, Lucie! 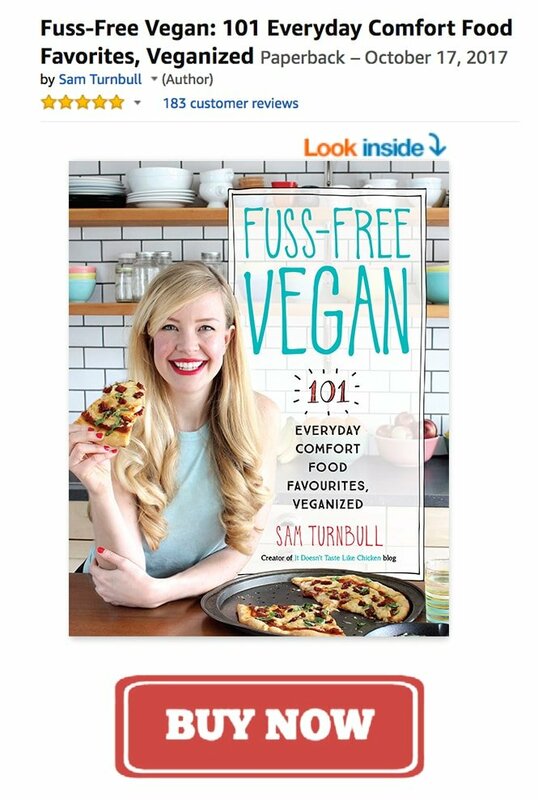 Thrilled you are enjoying my recipes so much, and I hope you love the cookbook! Insanely good! So easy. Thanks so much for the recipe. This is finishing up on the stove now. I had a taste, but my lentils are still a bit firm. I think I’ve found a new favorite! Cook a little longer to ensure your lentils are softened. Your recipe looks yummy, I will definitely give it a try. … with a substitution (soy sauce is not gluten free … unless you buy the ones that are specifically marked as GF). 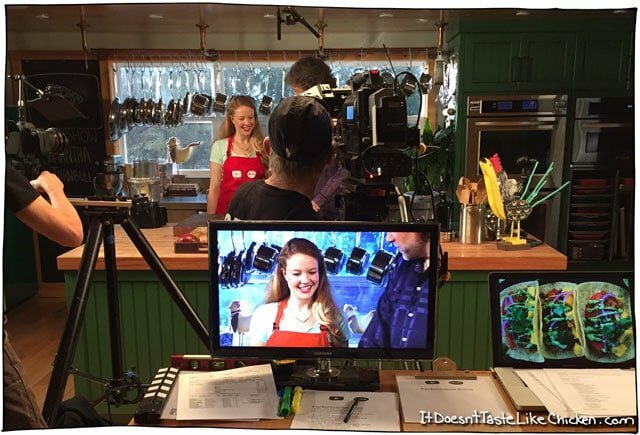 Congrats on your recipe making appearance on the show- it looks great ! This recipe is absolutely amazing!!!! I made it on the weekend and have been eating the leftovers all week long. I used green lentils though instead of red lentils because I thought that red lentils would make the dish too mushy. As such, the amount of water you called for in the recipe wasn’t enough, as my lentils were on the crunchy side. How much water would you recommend if using green lentils? And, do the red lentils in your recipe get mushy? Glad you enjoyed the recipe! The red lentils do not get mushy as long as you very gently simmer them (and don’t boil them). The water content for green lentils should be about the same amount but they will take about twice as long to cook at a gentle simmer. Enjoy! Hi Sam! I love this recipe. Do you think TVP would be good instead of the lentils for a bit of a change? Thanks Joey! You might have to adapt the water quantities a bit, but I am sure it would be yummy. Enjoy! I’ve been looking at this recipe for over a year now! I finally made it tonight as I was looking for something flavourful, easy to make and everything was already in my pantry and fridge. I must say these lentils pack a huge punch of flavour. My mouth is very happy right now. Just the right amount of heat and yummy flavour. Now that I know how good this is it will become a favourite in my household. Thank you! It’s pretty tasty. The family liked it. I used canned lentils though and omitted the water. You have to cook off some of the moisture from the soya sauce though. Oh yes, canned lentils would not be great for this recipe. By cooking the lentils in the sauce they absorb all of the flavours. And by cooked lentils, I, of course, meant canned lentils. Perfect weekday meal, comes together quickly and uses ingredients I always have around the house. This is the type of meal you need to show people when they say eating vegan is expensive, this is a great cheap meal. Paired it with some Ontario asparagus. Delish! Winner-winner-non-chicken dinner! I just made for this for dinner. Amazing flavor! Thank you! Dude, SO GOOD! I have often made the ground beef counterpart to this recipe, which we all love, and I think I actually prefer this one. 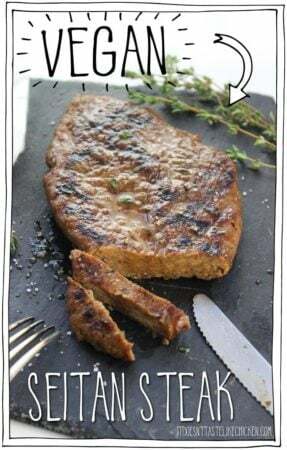 I have been trying to eat meat-free for a while now for personal reasons, though the rest of my family (husband and four kiddos) still eats meat. Sometimes I make something a bit different for me, but of course I’d rather just make one meal for all of us. I have enjoyed using lentils for a lot of things and wanted to find another recipe specifically for red lentils. This was the first one I picked; we had it last night and it was a huge hit. Will definitely be making it again! Served it on top of rice with broccoli. Simply delicious. Deliciously simple! Thank you! I’ve been cooking only vegan dishes for ny husband for almost 4 years now (he’s not vegan). As evidence of how much he liked this, he ate leftovers for lunch the next day, which is a first! Thanks for a great eat rest recipe! I love this for stuffing steamed buns (bao). 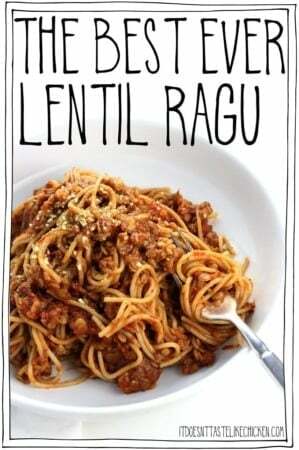 This recipe is now the main reason I keep red lentils in the house! We love it!! Can you substitute the soy sauce for coconut aminos? I’m trying to stay away from soy as much as possible. Just want to let you know that your lentils are being enjoyed all over the world! My mother-in-law in Panama sent me this recipe a few months ago and said it was delicious and easy (my favorite). I’ve made it in probably 5 or 6 huge batches since then. I passed the recipe on to my friends and they love it too! I took some to a birthday party recently and it got favorable reviews despite being the lone vegan dish in a sea of pulled pork and potato salad. The hostess even asked to keep some! We have eaten it with rice and quinoa, as a stew, and over steamed broccoli. Yum! When I first read this recipe I was skeptical, I frequently find lentil recipes to be overwhelmingly “lentil-y”. But this was a slam dunk! Every one in the house loved it! We served it with roasted zucchini and corn which complimented it really well. Definitely going to be a new staple at our house! This recipe was awesome. And so quick to make. Even my husband who claims “hates lentils” ate it and enjoyed it. Huge win! Thank you! My daughter and I tried this recipe tonite during I must say it was absolutely yummy!!! Thank you for for sharing your recipes. This one will become a regular for our family and we will be trying many more. Yay! So happy you and your daughter enjoyed it, Monise. I hope you enjoyed many more! So yum! But mine isn’t that pretty color you have in the pics. Any idea why? Glad you enjoyed! Soy sauces can range hugely in colour, I believe I might have used tamari that day (gluten-free soy sauce), which is extra dark, so I am guessing that’s why yours is a different colour. So much to like here! But, especially, the ease! Turns out the specific taste wasn’t especially for me (though hubby loved it!) but now I know how easy it is to cook red lentils, and I plan to use this recipe as a jumping off point. Meanwhile, I would like to recommend to use the lower amount of sugar (or less) and to share what I learned: that “red lentils” are different from “red split lentils.” Thanks for publishing! Lentils one other time, so I’m very new to cooking with them. Do I have to use red lentils? Or will green or brown work? I don’t know what the difference is. Thank you. Hi Tiera, red lentils are much faster to cook, they take about 10 minutes, make sure to keep them at a low simmer so they don’t get mushy. Green or brown lentils can be substituted but they take about twice as long to cook, about 20 minutes, they also have a slightly different texture. ENjoy! Thank you! I couldn’t find red lentils, trying it tonight with green lentils. Will red split lentils work in this recipe? Thanks! OMG!!! Delicious!! This is my favorite lentil recipe ever! I changed things just a bit and sautéed the green onion, garlic, and ginger in oil (a mix of sesame and olive) then added the sauce (soy, sugar, water, and a little rice vinegar), brought the liquid to boiling and then added lentils. Serve with Kim chi!!! Thrilled you love it, Jessica! Hi – I am new to cooking and do not have any of the light oils you list. I have only olive and grapeseed. Would either of those work? No problem if not. I can always buy another oil today but wanted to check before I do as I have not had to use any other oils yet. If I buy, which of three (if any) do you use the most in your recipes? I can always get that one. Hi O, by light oil, I just mean light in flavour. Olive oil has a strong flavour but grapeseed is light so that will work fine. Enjoy! 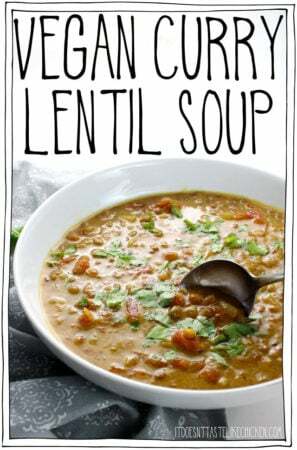 We recently became lentil addicts after going Vegan a couple of months ago, and we love this recipe! Thank you for sharing, it’s definitely a go to especially during the cold months. Another winner in our house, Sam. Thanks! I highly recommend topping with green onions because it goes really well with the lentils, rice, and sauce, and I also recommend you toast your sesame seeds – because that’s just delicious. Yay! So happy you enjoyed it, Danielle! OH NO….my bad. ..the whole time I was eating this I was thinking it needs garlic. I hand wrote this recipe and didn’t put the garlic in. I will try it again…with the garlic. Will still omit the sesame oil though. If you love lentils this is a must try. The next time I make this (tailored to my taste) I’m sure I’m gonna love it. 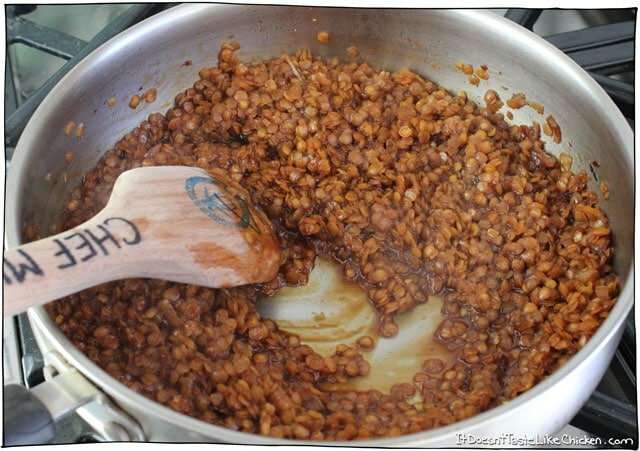 The liquid does not get absorbed before the lentils turn to mush. I cut back on the liquid and still have the same problem. Hi egee, make sure you keep your lentils at a low simmer. If the temperature is too high, that is what will turn your lentils to mush. Enjoy! 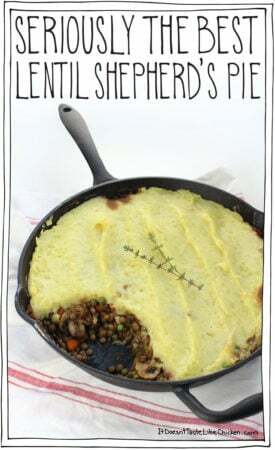 We made ours with green lentils because they don’t get as mushy and it was delicious all the same! I just made this and it is absolutely divine! My new favorite recipe! thanks for the recipe – we loved it and will be making it again! do you think the lentils as prepared would freeze well? So happy you enjoyed it! I don’t think it would freeze well, no. The lentils will likely turn to mush once thawed. Hope that helps! Hey Sam, I have a question about the serving size. Thank you for providing nutrition information. It’s helpful because I’m counting calories! I see that it’s four servings, but do you know about how much a serving would be? I’m trying to branch out and make more meals, but have a hard time when it isn’t a precise number of things I can count or whatever. I could probably eyeball it, but the OCD part of me won’t allow that. Hoping to make this tonight! Um…forgive me for the question. I will just make it, then scoop out with measuring cups until I’ve measured all of it, and divide by four to get my serving size. Sorry, it has been a long week. And I think the heat is getting to me. Lentils were mushy, but the flavor was great! My wife is a hard one to please, and she loved them. I will make again with less water. Thank you for the recipe! So happy you enjoyed them. Red lentils are very tender so to ensure they don’t get mushy while still getting cooked through, make sure to keep the heat at a simmer and not boiling. Enjoy! The flavor on this recipe is fantastic, but my lentils were pretty hard even after absorbing all the liquid. Is it because I used a different kind of lentil other than red? Or any other ideas of where I might have gone wrong? New to the veg lifestyle, so I’m learning as I go. Red lentils take about 10 mins to cook, but green or brown lentils take upwards of 20 mins. So yes, if you used a different kind of lentil, that would be the problem! Next time just keep it at a low simmer and cook longer according to the type of lentil. Enjoy! I’m a little late to this post, but I just made these lentils for the first time and absolutely LOVED them! I had all the ingredients on hand and it couldn’t have been easier. I added some cubed tofu and skipped the rice to reduce carbs… I ate three servings, so I probably “undid” whatever skipping the rice “did”. Hahaha, love it. So happy you loved them so much Winston! Haha, yeah that can happen with red lentils as they cook so quickly. Make sure to keep them at a simmer and not boiling. Yes, they would work well in a stir fry, just prepare them separately from the veggies and layer them on the rice. Yum! Thanks for the reply. I meant the actual sauce (without the lentils). For example, stir frying some vegetables and adding the sauce ingredients at the end. I’ve done this recipe for stir fry and just mixed 1 tbsp of cornstarch with the same amount of water as soy sauce and it was delicious! The 2 cups of water is to cook the lentils so if you’re using just the sauce then you’ll want equal parts water and soy sauce but this sauce doesn’t thicken on its own so you need the cornstarch so it coats your veggies nicely and isn’t just water sitting at the bottom of the bowl! I just made this last night and it was AMAZING, I never knew lentils could taste so good! This will be a dish I make often. That’s why lentils are awesome! They take on any flavour you give them. So happy you dug this recipe so much Kristina! Made this for dinner. Easy to make and great flavors. Will be a fish I make often. Served it with shredded cabbage, diced carrots, red onion and jalapeño with your miso peanut dressing. Ha – yes dish not fish. I hit send too soon and cannot figure out how to change. Thanks again – have a great weekend! Haha! No problem. You have a lovely weekend too! This recipe was so good, quick and easy. I didn’t deviate from the recipe at all except when time to garnish. In addition to the sesame seeds and green onions, you MUST add a squirt of siracha and lots of chopped cilantro. OMG, yum! But this is a delicious recipe. I love lentils anyway and korean cuisine so this was a great switch-up from my normal prep. Oh yay!! So happy you loved it Erin! I too am a HUGE fan of sriracha!! Thanks for this recipe. It’s so easy and tasty! I sautéed the onions with a dollop of gochujang (Korean red paper paste) for extra heat. Another gem!! You’re a genius, I love these flavours and what better way to have them than with super healthy lentils!! Thank you! Made this today and topped it on a bun with some spinach, red onions, bell pepper, and a healthy dose of sriracha – totally delicious! Oh I love that idea! Kind of like Korean inspired sloppy joe! I’ve literally never commented online but had to say this recipe is so delicious and easy. I made a batch and froze individual portions to take out and heat up whenever I want. I’ve made it several times and always have some in my freezer. Thanks for the recipe! Why is the sodium so high? Is there a way to reduce the sodium? Just reduce the soy sauce to your own taste preferences. Love this recipe! It is especially helpful during the weeks that I crave take-out but my bank account is in the cents!lol…My only problem is that I’ve only had green lentils, both times I’ve prepared it, and it took about 40 minutes for the darn liquid to absorb, but it was worth the wait. 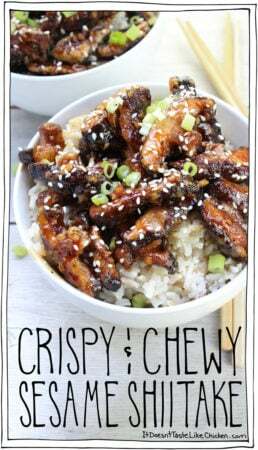 This recipe also helps me meal prep for work for about 3 days out of my work week(minus the day it was originally cooked–I devour that serving immediately, of course). Thanks! How much lentils for this recipe? So quick and easy! Even our 3 year old liked it. Only change I made was reducing the sugar by 1/3 and that was spot-on for our taste buds. Thanks for sharing. I’d love to make this tonight. Got all the ingredients! I also have a bunch of zucchinis sitting in my fridge that really need to get used up. Any suggestions what I might do with them to perhaps compliment and have as a side with the lentils? I’m scouring the internet but have yet to come up with something that’s light, simple and I have ingredients for. Could I throw the zucchinis in with the lentils???? The zucchinis might get soggy if cooked them with the lentils. I recommend sautéing them with the onions, removing the onions and zucchini from the pan, and cooking the lentils following the remaining directions. Then you can stir the onions and zucchinis back in when the lentils are cooked. Otherwise you could spiralize the zucchini and top the zucchini noodles with the lentils, or just sauté the zucchini and serve it beside. Hope that helps! Made this recipe a week ago, and can’t WAIT to make it again for dinner this evening (rice is already on the stove top). My 12 year old daughter gobbled it up with me last week and absolutely loved it. 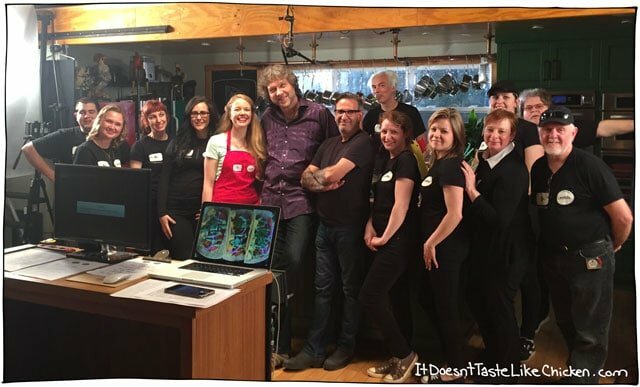 SO happy to have come across your page and can’t wait to try out more recipes – thank you! This recipe is absolutely delicious! And you can’t go wrong with it. It know it’s one I’ll make again and again. Thank you so much for sharing it with us, Sam! Would it keep the taste and quality if I added different lentils??? Does your nutritional information include a serving of rice? When I entered the recipe in the calorie/nutrition tracker I use it only came up with 3.4 grams of fiber and 12.6 grams of protein. I am trying to figure out where the differences might be? It looks and sounds delicious. I plan on making it this weekend. Thanks for sharing and I look forward to looking through your site when I have more time. I have bookmarked it. No, the nutrition doesn’t include the rice (you can see that just above the calories). The nutrition information is for one serving, the dish makes four servings. Hopefully that helps? So happy you are excited about this recipe Kris, I hope you love it! These were super yummy and super easy – my kind of recipe! Mine weren’t nearly as rich in colour as your picture; might be that my brown sugar was the “golden” light brown. Doesn’t matter… taste was amazing! Thanks Sam. Mmm, Mmm, Mmm!! The hits just keeping on coming on your site, Sam. This was such a knockout recipe and sooo easy to make – and so few ingredients! The only thing I ever used lentils for was in soups. With your great recipes – now I buy them in bulk! Thanks for great recipes and great ideas!!! 5 star rating…. I think you are a genius. I’m Korean but I’ve never thought of cooking lentils a la bulgogi. And it turned out delicious, just what I need when I crave Korean flavors but not the meat. Thanks for sharing your ingenious recipes! 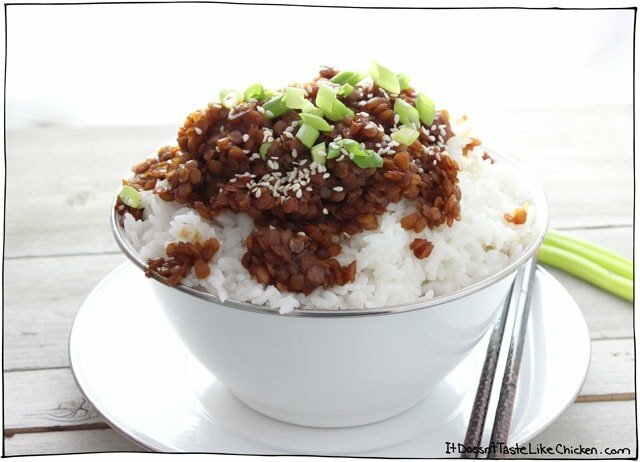 I made this recipe today and I used Korean red bean (pat) instead of lentils, which can be hard to find or expensive around here. SO good! Thanks! How fun!! I loved watching your Snaps while you were filmed. Such a cool experience!! Thanks Emilie! Haha, you witnessed the much needed cocktails, and then Ethan driving Koko and I around the next day… eek! Haha! This recipe is delicious and so easy and fast to make!! It was SO good and easy that I shared this with a lot of my friends, keep these great recipes coming!! How exciting; you’re a star now! Don’t forget us little people when you accept your Emmy Award. Can’t wait to try the recipe. It sounds delicious. Not all Korean food is sweet, but galbi (BBQ ribs) certainly is. I love Korean, so thanks a lot for this recipe. Three tablespoons of brown sugar? Oh gosh, that’s HIGH sugar!! But only 8.5 g in the Nutrition Facts? How does that work? Yeah Korean BBQ is sweet! The nutrition info is for one serving, there are four servings in this dish. The picture does not seem to show red lentils, s they turn to mush when they are cooked. Are you cooking them less? The sauce adds a rich brown colour to the lentils, but they are indeed red lentils! The lentils only take 8 to 10 minutes to cook, which is why I love red lentils. Cook them longer and they will start to get too mushy. That’s so cool, congratulations! Also, the dish looks yuuummmyyy, will save it and try it out later! Thank you!! It was a super fun experience. I hope you enjoy the lentils! That’s so awesome!! And this is such a great recipe! Love the flavors and making a classic with lentils…perfect!